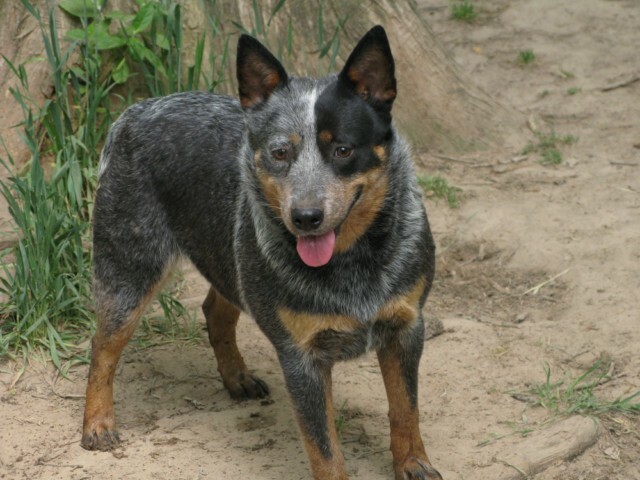 We specialize in only the finest quality AKC registered Australian Cattle Dog (Heeler) pups. Stud service available upon approval. 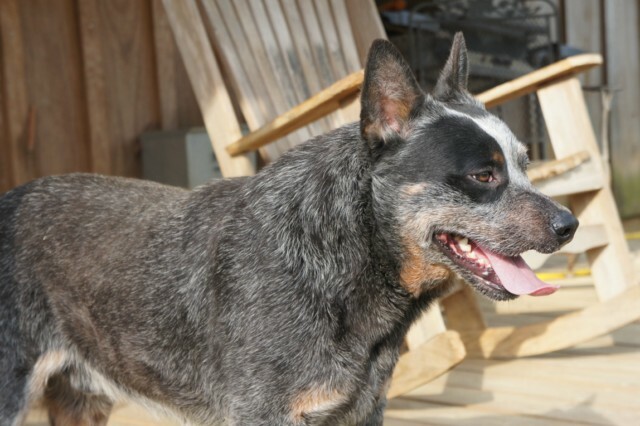 Ammons Cowdogs is located near the small town of Robeline, Louisiana. You probably won't find Robeline on many maps, but it's near the historic city of Natchitoches. We're a short drive from beautiful Toledo Bend, about an hour south of Shreveport, and an hour north of Alexandria. Ammons Cowdogs is owned and operated by Gary Ammons. Having grown up with Border Collies and Australian Cattle Dogs, Gary started building the kennel in 1996 and has devoted his life to his dogs. Our bloodlines come from all over the globe in a quest to produce the absolute best quality puppies, whether they be for pet, working livestock, show, or breeding. We stand behind our dogs 110% and will do everything possible to make your purchasing experience a pleasant one. There is ALWAYS service after the sale. At Ammons Cowdogs, the breeding goals are simple: health, quality, conformation and temperament without compromise. There is no greater reward than a happy customer! And this is what keeps our business going. Knowing that one of our pups has brought joy into someone's life, whether it be a child or an adult, that's what it's all about. Puppies are raised with lots of love and socialization from the moment they are born. Most will go to new homes having at least started on potty training. Babies come health guaranteed and current on shots and wormings. New owners will receive, along with their registration papers, a health record showing what vaccinations their pup has had, and what they'll need next and when. Additionally, they will receive a copy of their puppy's pedigree, and other valuable information. We are proud to use and recommend NuVet Canine Vitamins. We also offer micro chips. We have routine inspections from the American Kennel Club and have been found to be in full compliance each and every time. Our kennel was AKC Inspected on April 6, 2014 and found to be in Total Compliance. Safe shipping is available. We use Continental, Delta and United Airlines. Shipping generally runs around $350. This includes the flight, pet taxi, vet exam, health certificate, etc. We accept money orders, cash, credit cards and Paypal. We invite you to visit our website often, as we always have new and exciting things taking place. We don't believe you'll find a better experience than when you receive your special puppy from Ammons Cowdogs. Click Here To Like And Follow Us On Facebook!